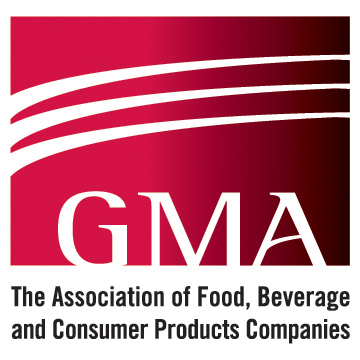 The Grocery Manufacturers Association (GMA) is the voice of more than 300 leading food, beverage and consumer product companies. The association, and its member companies, is committed to meeting the needs of consumers through product innovation, responsible business practices and effective public policy solutions developed through a genuine partnership with policymakers and other stakeholders. The National Frozen & Refrigerated Foods Association (NFRA) is uniquely positioned as an all-industry trade association, representing the interests of every segment of the frozen and refrigerated foods industry. Established in 1952, the International Foodservice Manufacturers Association (IFMA) is a leading foodservice trade association comprising of more than 300 of the world’s most prestigious food, equipment and supply manufacturers in the $600 billion foodservice industry. The Women’s Foodservice Forum (WFF) is a vibrant, dynamic organization committed to helping women at all levels and in all areas of the food service industry envision and achieve their highest potential. The Multicultural Foodservice & Hospitality Alliance (MFHA)’s mission is to promote the business case for diversity and inclusion in the Foodservice and Hospitality industries. The Food Marketing Institute (FMI) is the leading trade association representing the food retail and wholesale industries. The FMI is committed to providing the resources and services that members require to achieve their strategic goals, improve operations and expand markets. Founded in 1939, the Institute of Food Technologists (IFT) is a nonprofit scientific society with 22,000 members working in food science, food technology, and related professions in industry, academia, and government. The International Food Service Executives Association (IFSEA) is a professional organization with more than one-thousand professionals world-wide from the foodservice and hospitality industries. 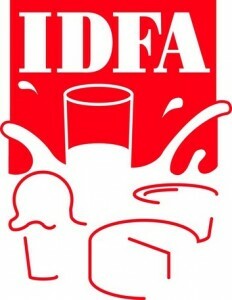 The International Dairy Foods Association (IDFA), represents the nation’s dairy manufacturing and marketing industries and their suppliers, with a membership of 550 companies. IDFA is composed of three constituent organizations, Milk Industry Foundation (MIF), National Cheese Institute (NCI), and International Ice Cream Association (IICA). Founded in 1919, the National Restaurant Association (NRA) is the largest foodservice trade association in the world — supporting nearly 500,000 restaurant businesses. NRA works every day to empower all restaurant owners and operators to achieve more than they thought possible. 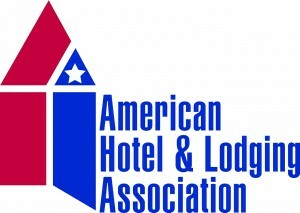 The American Hotel and Lodging Association (AHLA ) is the sole national association representing all segments of the 1.8 million-employee U.S. lodging industry, including hotel owners, REITs, chains, franchisees, management companies, independent properties, state hotel associations, and industry suppliers. The Research Chefs Association (RCA) is the premier source of culinary and technical information for the food industry, with a professionally diverse membership including chefs, food scientists and other industry professionals who are shaping the future of food research and development. The American Spice Trade Association (ASTA) is a trade association that represents the U.S. spice industry. It represents the interests of approximately 175 members, including companies that grow, dehydrate, and process spices. ASTA members manufacture and market the majority of spices sold in the U.S. at retail and to food processors. The Snack Food Association (SFA) is the international trade association of the snack food industry representing snack manufacturers and suppliers. SFA’s mission is to create resources which fuel and reinforce value for SFA members by offering services and relationship building forums for members in support of industry growth and dynamic relevance. The American Chemical Society (ACS) is a congressionally chartered independent membership organization which represents professionals at all degree levels and in all fields of chemistry and sciences that involve chemistry. The mission of Society of Sensory Professionals (SSP) is to advance the field of sensory evaluation, including consumer research, and the role/work of sensory professionals, for the purpose of sharing knowledge, exchanging ideas, mentoring and educating its members. The Network of Executive Women (NEW) was founded by a small group of industry executives who believed there were not enough female leaders in the retail and consumer goods and services industry. Today the Network is the industry’s largest learning and leadership community.